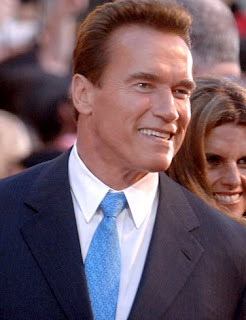 Arnold Schwartzenegger IRS Lein: Schwartzenegger Gerald Walpin Connection? by Maggie • November 29, 2009 • Comments Off on Arnold Schwartzenegger IRS Lein: Schwartzenegger Gerald Walpin Connection? Back in June I asked why Inspector General Gerald Walpin launched an investigation into former NBA star and current Sacramento, California Mayor, Kevin Johnson. The answer to that question is that Schwarzenegger asked the feds to look into Johnson’s non-profit St. Hope Academy, and Walpin got the assignment. Walpin’s investigation showed that both Kevin Johnson and AmeriCorp had misused millions in federal funds – and worse, that Johnson was charged with inappropriate behavior by teenagers. The Governor’s action was prompted by a report from the Sacramento County Child Protective Services. President Obama has a particular fondness for AmeriCorp and Kevin Johnson. Subsequently, after Walpin submitted his report to Congress, he was fired from his Inspector General position in an unprecedented move by the White House. This week, we learned that the IRS filed a federal tax lien against all of Governor Schwarzenegger’s properties last May. Could this be payback for Schwarzenegger’s involvement in what has turned out to be another enormously embarrassing scandal for this administration? The odd thing about this, is supposedly, Schwarzenegger had received no notices that anything was amiss with this tax filings. Social Security, MediCare and unemployment insurance. Libertarian Advocate is also questioning IRS motives. Who is Sacramento Mayor Kevin Johnson?